After Brazil, Japan and Brooklyn, Paris is in the spotlight at Le Bon Marché Rive Gauche and La Grande Epicerie. The PARIS! exhibition presents secret, cosmopolitan and surprising facets of the city through the eyes of entrepreneurial creative talents who are passionate about and inspired by the City of Light. 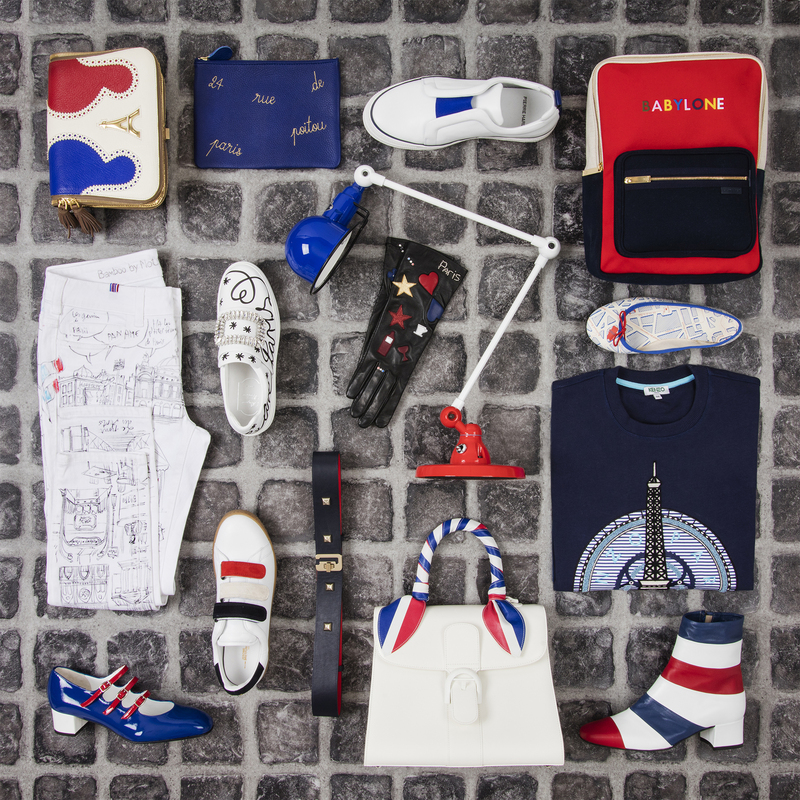 Accessories, fashion creations, home decor, beauty care, delectable foods and more all celebrate Paris in an exhibition bursting with creativity. Le Bon Marché is welcoming exciting collaborations with a contemporary breed of brands and designers, united by a shared love of the French capital. Proudly championing “Made in Paris”, their creations are crafted in the heart of the city in workshops that reinvent inimitable Parisian savoir-faire and celebrate their home neighborhoods, including Maison Château Rouge, emblematic of a cosmopolitan Paris, or Pairs in Paris, whose sneakers are named after Paris streets. The event features forty highly original brands, plus exclusive creations by celebrated houses such as a Dior pochette purse with motifs that celebrate Paris. 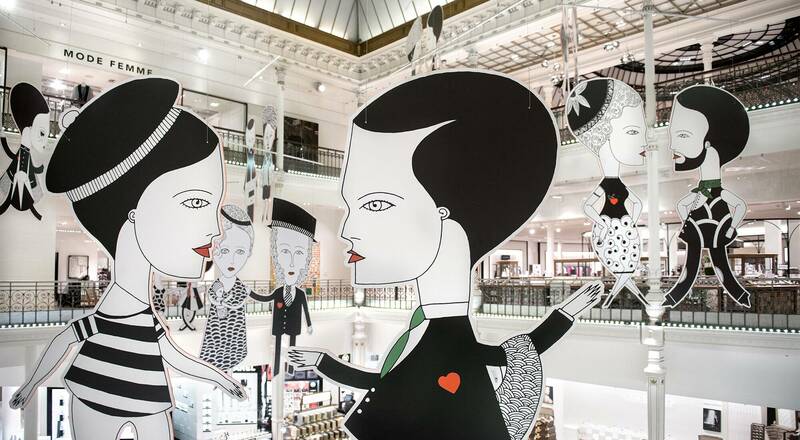 Another exhibition guest is street artist Fred le Chevalier, whose well-known characters – generally found on the walls of the capital – are featured beneath the glass canopy and in display windows, joined by traditional newsstand kiosks, cafés and other Paris fixtures interspersed throughout the store. The PARIS! exhibition on the ground floor of Le Bon Marché runs until October 15th.